Abstract：The physicochemical properties of Hovenia dulcis Thunb. 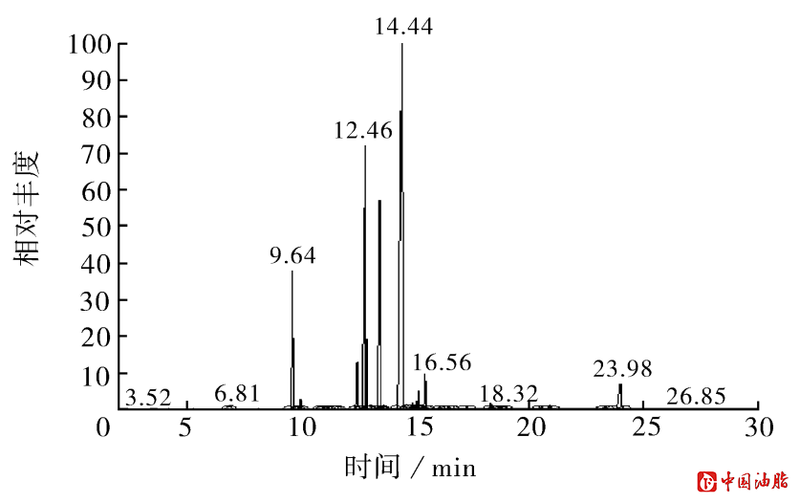 seed oil were determined, and its fatty acids composition was analyzed by GC-MS. The results showed that the Hovenia dulcis Thunb. 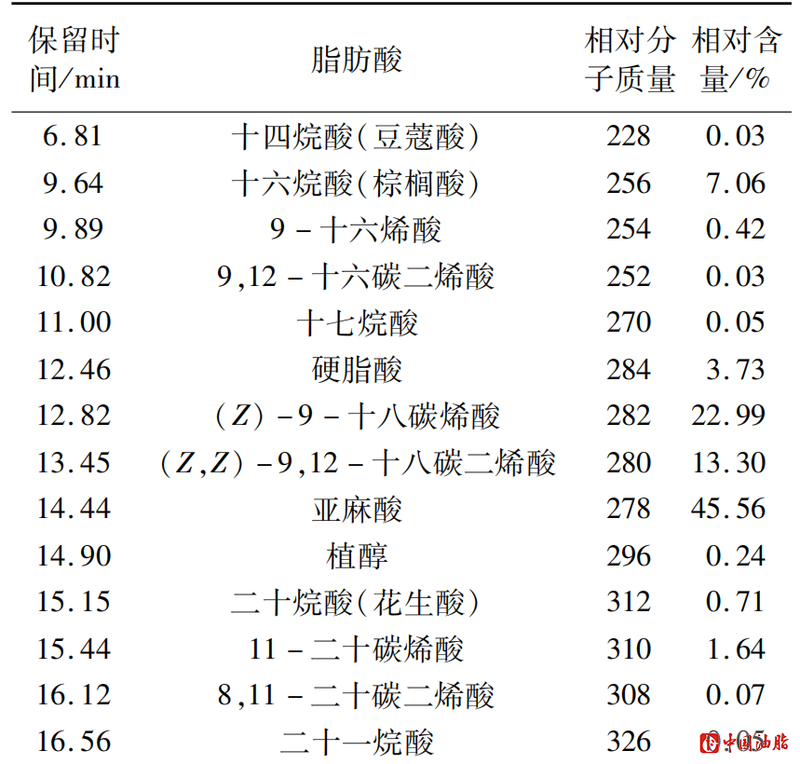 seed contained about 8.0% oil, in which the content of unsaturated fatty acids was over 87.46%, and the linolenic acid was about 45.56%. 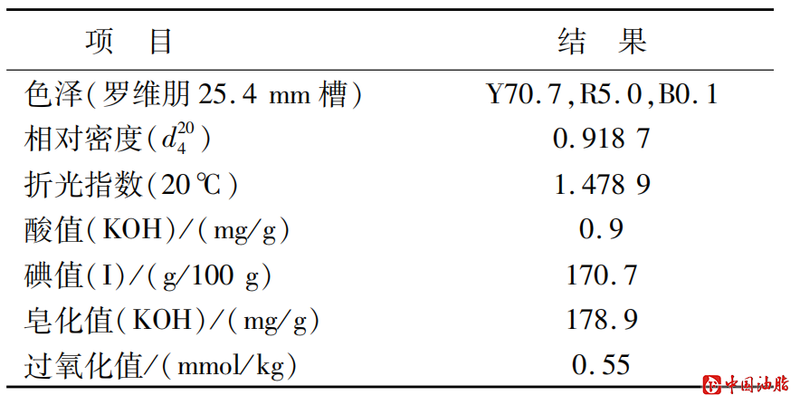 The physicochemical properties of the oil were as follows:refraction index (n20)1.478 9,relative density (d204) 0.918 7, iodine value 170.7 gI/100 g, saponification value 178.9 mgKOH/g. The Hovenia dulcis Thunb. seed oil had high nutritional value. ［7］ TOMITA Y. Immunological role of vitamin A and its related substances in prevention of cancer ［J］. Nutr Cancer,1983,5(3/4):187-194. ［8］ KONO Y, SHIMATANI Y,TAKAHASHI M, et al. Cosmetics comprising squalene as active oxygen remover for inhibiting skin lipid peroxidation：JP patent，06329530［P］.1994-11-29.